The playroom is probably one of the happiest rooms in your house. Until it comes time for cleaning. Kids are tough on floors! You want to make sure you have a floor in your playroom that can stand up to serious wear and tear; is easy to clean; and is comfortable and fun - just like the room itself! Read on for some great flooring options for your children's playroom. It cushions the inevitable falls and bumps. It gives some much-needed sound insulation and is comfortable. 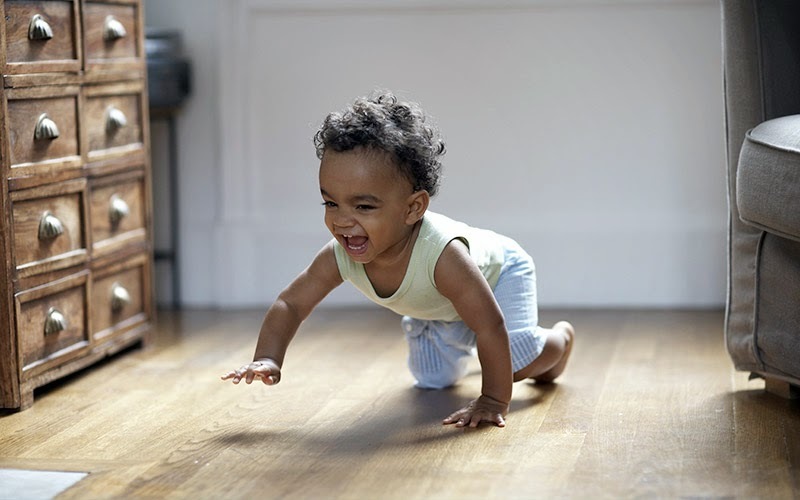 You might think you should shy away from carpet because of spills and stains but carpet can be an excellent choice for your children's playroom. Today's carpets are more stain resistant than ever and different carpets are made in different ways making them able to withstand more use than before. For a playroom, our design consultants recommend a loop carpet. A loop style carpet leaves the yarns uncut for a continuous surface that resists crushing, doesn't show dirt and is easy to vacuum. Berber is a popular type of loop carpet made from a thick yarn. However you might want to look at level loop pile carpet or frieze carpet that has twisted and looped yarns that are typically softer underfoot (or under child when they lay on the floor to play). A wood floor is easy to clean - sweep up the playdoh crumbs and mop up the spills - and can be a perfect fit for a child's playroom. We recommend looking for a wood floor that is water and stain resistant. Laminate wood floors have these attributes and can be a great choice but you should also consider natural woods. 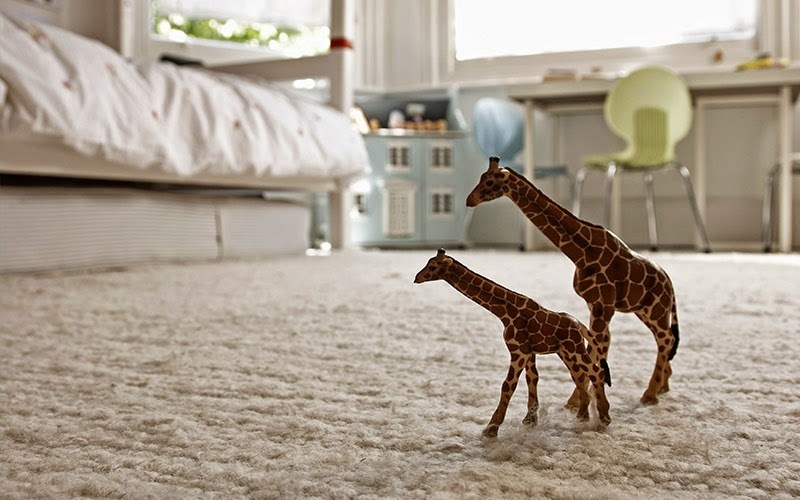 Kermans' design consultants encourage families to consider a cork floor for the playroom. Cork is water resistant and bounces back underfoot making it nearly impossible to dent or scratch. Cork is also naturally resistant to mold and mildew and doesn't shed any gases or by-products - big pluses when you're talking about a floor that will be close to your children. Cork flooring is also fairly soft and offers many of the same insulating qualities of carpet. 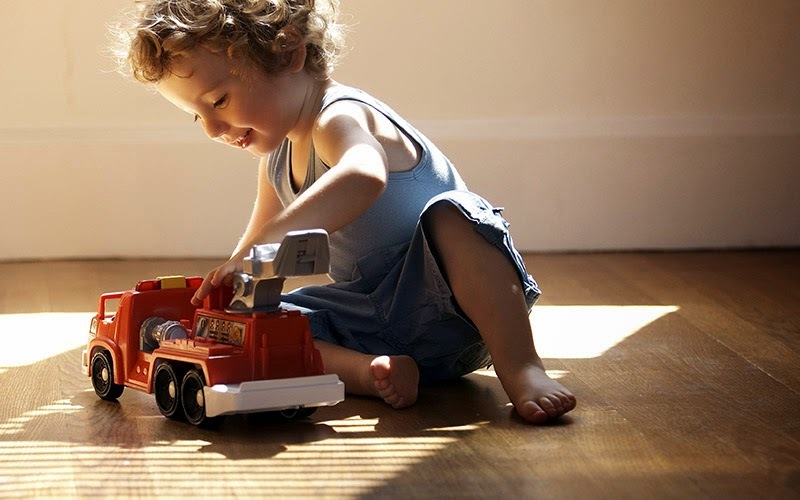 Selecting the best floor for your child's playroom can be a challenge. Just the kind of challenge the designers at Kermans love to tackle! Our design staff is free to all customers. They can help you find just the right floor for your playroom, new carpet for your living room, the best wood floor for your kitchen and much more. Their services are all part of the Kermans Advantage - our customer-focused approach to helping people find affordable, up-to-date flooring. Make an appointment with one of our designers today and we'll be ready to help you with your next flooring project.